100% Natural. 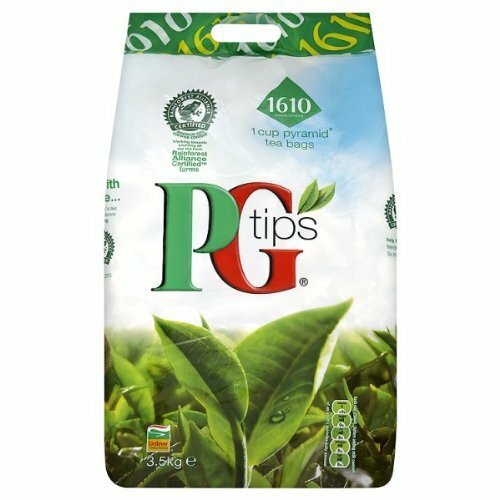 PG tips tea is the all natural drink that's made completely from tea leaves and nothing else. We pick the top 2 leaves and a bud known as the tips - hence the name - which is why we're so delicious. We've made friends with the Rainforest Alliance. Good morning, afternoon and evening Britain! I thought you'd like to know that PG tips has made friends with the Rainforest Alliance. They make sure the tea in these bags is grown using sustainable farming methods and the workers who picked it earn a better living and their families have access to education and medical care. So thank you for choosing PG tips. At least 50% of PG tips tea comes from Rainforest Alliance CertifiedTM farms and all of our tea will come from Rainforest Alliance CertifiedTM farms by 2010. If you have any questions about this product by PG Tips, contact us by completing and submitting the form below. If you are looking for a specif part number, please include it with your message.